What is Direct Acting ? Direct acting means that valves uses a power supply to open and close. Power is transformed into magnetic force,in a plunger type valve,forces a plunger to move and open or close the valve seats. Other direct acting valve operate without a plunger but with same principle of direct power application to move. Direct Acting Valves are for smaller flow rate. Higher flow rates have stronger fluid pressure,with valves requiring more power to open or close. Direct acting valves are not feasible for high flow rates. Many different direct acting valve materials,types,function and sizes exist.But all use direct application of power to open or close. 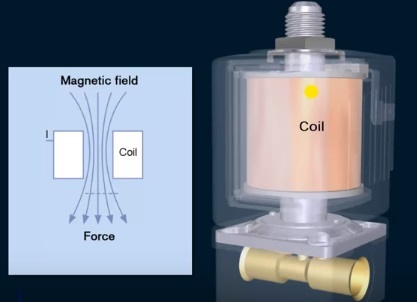 All solenoid valves are designed using tightly coiled copper wire to create a magnetic field. The forces generated by this field pushes or pulls a piston up and down. Direct acting solenoid valves are designed to fast switching,with direct application of power. In this way the valves used applied power directly and is therefore called a direct acting valve. Direct acting 3/2 valves are often used as a pilot valve for linear valve,Spring return rotary valve,pneumatic cylinders.